Using chemical and physical restraints to control the behavior of nursing home residents is against the law. Thanks to the Nursing Home Reform Act of 1987, nursing homes may only use chemical and physical restraints when medically necessary to keep the patient and those around them safe. 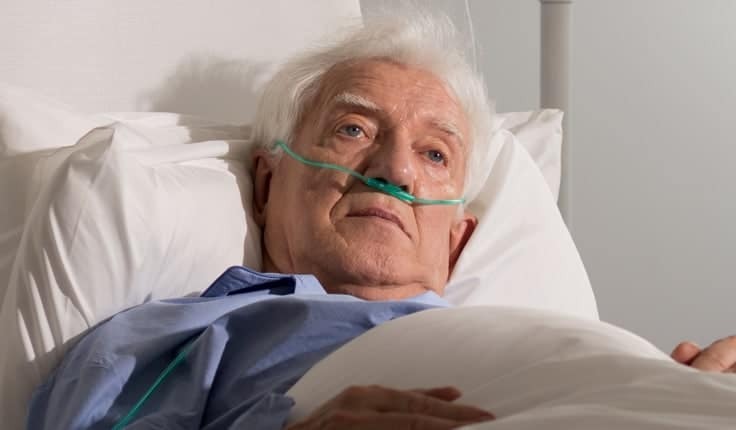 If you should show up for a visit to the nursing home where your loved one is living, and you find them looking heavily medicated and unresponsive, you may wonder why they have been medicated and what effect that medication is going to have on their overall health. Or, if you find your dad strapped into his wheelchair and he is not happy about it, you will want to start asking questions about what prompted the use of physical restraints on him. At the Yeboah Law Group, we understand the state and federal laws that govern the use of chemical and physical restraints. Our skilled Fort Lauderdale nursing home negligence attorneys are here to protect nursing home resident’s rights to freedom of movement. If your loved one was injured by the use of chemical or physical restraints that were not medically necessary, we are here to obtain justice on their behalf. Chemical restraint refers to the use of anti-psychotic drugs to manage difficult behavior in nursing home residents. Sometimes when a person is struggling with advanced dementia, their behavior can become erratic and they can be quite difficult to manage. Nursing homes use antipsychotic drugs without a prescription and for off-label uses to control the behavior of residents who may be unruly. Using anti-psychotic drugs in this way is against federal law, and against U.S Food and Drug Administration (FDA) guidelines. These powerful drugs can have harmful side effects when given to elderly patients including an increased risk of death. Physical restraint is the use of a device such as straps or belts, restrictive chairs, bedrails and other mechanisms to restrain the physical movement of the resident. There are situations where the temporary use of physical restraints might be necessary, but the inappropriate use of physical restraints can cause agitation, anxiety, incontinence and strangulation. Physical and chemical restraints are not only hazardous to the residents’ health by making them feel like prisoners on their own bodies, limiting their mobility and making them vulnerable to bed sores, weakening bone mass, but it is also a shameful experience to be drugged, restrained and stripped of their dignity. What are the signs and symptoms of the inappropriate use of chemical or physical restraints? If the nursing home is using physical or chemical restraints inappropriately to control the movement and behavior of residents, chances are, they will not be in use when family members come to visit. How do you identify the signs that your loved one in a nursing home might be dealing with consequences of chemical or physical restraints? If you see a marked change in your loved one’s mood or demeanor, if they seem agitated or increasingly lethargic, ask to see their chart, ask about medications that they are being given and the purpose. Speak to their doctor if you have questions about medications and their side-effects. You can help protect your loved one’s right to live in a safe environment that is free from physical and chemical restraints. If your loved one has suffered harm or injury from the illegal use of restraints, we invite you to contact the Yeboah Law Group to discuss your case with a compassionate Fort Lauderdale nursing home abuse lawyer who will fight for justice on behalf of your loved one. Filing a nursing home abuse lawsuit can be time consuming and complicated, suing the nursing home can be awkward and difficult even if they are responsible for your loved one’s injury. The skilled Fort Lauderdale nursing home abuse attorneys at the Yeboah Law Group are here to guide you through the challenges of pursuing compensation when you have been injured due to the negligence of nursing home staff. You are welcome to call us at 1-800-TELL-SAM or complete our contact form to schedule a free consultation right away.